Genuine Zanussi tumble dryer vent hose adaptor. 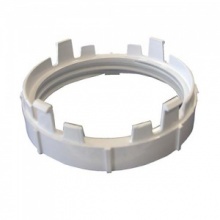 This vent hose adaptor or ring nut is used for attaching the vent hose to your Zanussi tumble dryer. Fantastic price and service! From ordering to fitting it was a lot quicker than I expected, so thank you!